If you're on the east coast like us here at Bustle HQ, then you are currently being bombarded with wet slushy snow and feeling like winter is ten times longer than the other seasons. The trailer for Jupiter Ascending can help. It's just so dang summer blockbuster-y. Currently, we're at the time of the year when a ton of Oscar-worthy, critically acclaimed movies are released and while that's great, it's refreshing to see something lighter. Something with less historical relevance and more human-alien hybrids. And that's just one reason it's your classic summer blockbuster. Here's seven more. Dude tends to be in movies that come out during the summer — Step Up, White House Down, Magic Mike — because the world likes to see action movies and movies about dancing (with or without clothing removal) in the summertime. 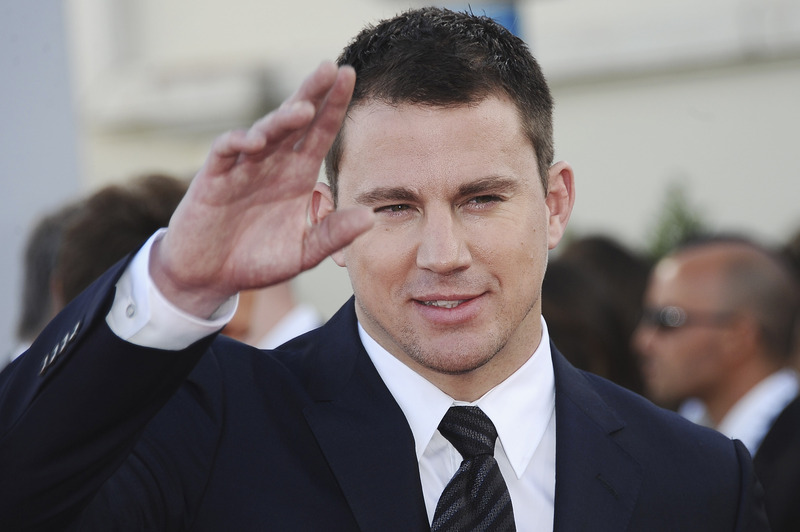 Channing Tatum apparently is made to play either a breakdancer or passionate cop on a mission. That's "hotties" for the uninitiated. Well first, you've got Channing Tatum, but what about an attractive lady star? Boom! Mila Kunis. They're not your style? How about Eddie Redmayne? Yep, this movie is looking out for you Les Mis lovers too. Jupiter Ascending is directed by Andy and Lana Wachowski who directed the Matrix trilogy as well as Cloud Atlas. Summer is for action movies and they've got a proven record. Or something like that... "I’m a splice, splices are essentially built in a test tube. I’m a hybrid wolf and human. And half albino, so I’m a little defective," Tatum said of his character in an interview with Collider. So maybe he's not quite an alien, but he's got pointy ears and lives on another planet so... close enough! Between Tatum and Kunis, of course. We couldn't watch a sci-fi action flick and not have some kissin', could we? Bonus points for the relationship being between a human and a humanoid species. Jupiter Ascending takes place in the future which means we get spaceships, insane costumes and set design, what appear to be jetpack boots, and a character who is literally "the queen of the universe." A few years ago, Will Smith divulged his theory of what makes an extremely successful film. I study patterns. Nine out of the top ten biggest movies of all times have special effects; eight out of ten have creatures in them; seven out of ten have a love story. So if you want a hit, you might want to throw those in the mix. I just study patterns and try to stand where lightning strikes. This might sound uncomfortably calculating and as though Smith is just in it for the money, but he's right. Look at Men in Black, Independence Day, I Am Legend. These movies follow that formula and Jupiter Ascending meets the requirements as well. Only it doesn't star Will Smith to his disappointment I'm sure. Pour yourself a cup of hot cocoa and check out the trailer for yourself below.